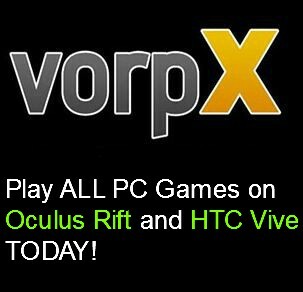 Looking for cheapest Oculus Rift PC’s you can ever build? The parts I’ve picked in the build below is not only extremely affordable, but it has the newest technology so you won’t be suffering from lack of future-proofing. Although it is extremely cheap, don’t underestimate this build. You’ll find out why very soon. 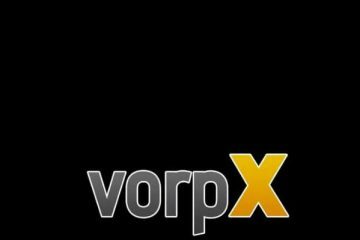 Since I’ve been following VR for years now, I had to change my PC build quite a lot of time not only to be compatible with certain games but so that I can develop games for everyone, as well as play every single VR game that is out there. 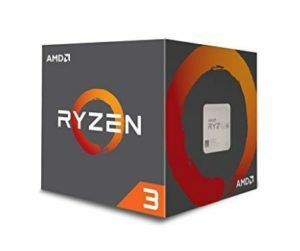 AMD Ryzen 3 1200 is a strong independent CPU that holds its own in the ‘budget build’ land. 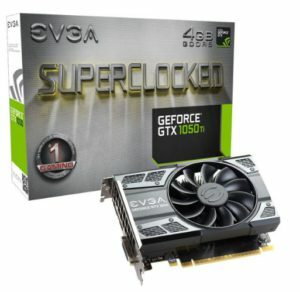 It’s stronger than a king of budget Intel G4560, and on top of that can be overclocked so high that the price would add around 50 dollars to it. Luckily, this whole build is around overclocking, being future-proof, and at the same time staying dirt cheap! Ryzen 3 1200 is an unlocked quad-core, 3,4 GHz processor, filled with SenseMI Technology and built by newest ‘Zen’ Architecture. You might not think that something costing 94 dollars can give you a good experience, but in fact, it’s even advertised as VR Ready product. It has a good Stealth cooler that is quite silent and cooling your CPU well even in the most heated Oculus Rift games. Its memory is also DDR4, the latest 4th technology that, if coupled with a DDR4 memory, makes your CPU more overclockable, reduces latency, and lowers power consumption. 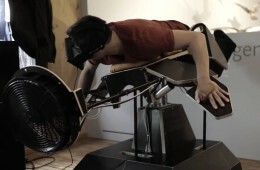 Trust me, it’ll work well with Oculus Rift. It has a big reputation in the budget builds community, and rightfully so. It performs well, supports latest Ryzen CPU’s, and is DDR4 memory compatible. DDR4 compatibility is very important if you want to have a computer that is faster in response than ever. 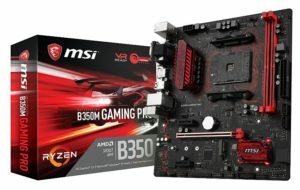 What was hard was finding the right MOBO that can also use CPU’s overclocking abilities to its fullest, while at the same time be extremely affordable. Luckily, this one does the job. You can safely overclock not only the CPU but RAM also, should you wish to do so. I also picked this one because it has a good amount of USB ports – three USB 3.0’s, one USB 3.1, and two USB 2.0’s. Considering that VR, Oculus Rift, and HTC Vive use the newest 3.0 as a standard, it’s good to know that it is compatible with it. Not only that, you can use the latest 3.1 to charge phones and anything you want. In the future, 3.1 will be very useful for you. All in all, it’s a great budget motherboard. It is unbelievable how good it is considering how much it costs. 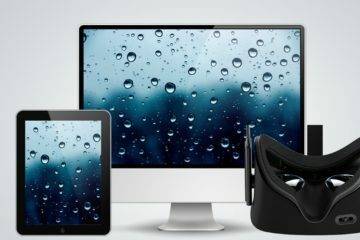 Although the price can fluctuate a lot over time, it still remains one of best choices for budget Oculus Rift PC’s. It runs very quiet and can play any game that is out there on high to ultra settings. With VR, it might be struggling to play everything high, but to remove all the stutters and lag you can easily turn the settings down a notch. Oculus Rift gaming experience is still going to be amazing for you. It’s also good because it will fit in almost any case you can get. Since the motherboard is microATX and the case is also mini ATX, it will fit in as well as water in a cup. It’s just born for this build. It has the latest Pascal architecture that is stronger and more advanced than anything else on the market right now. This one is the definition of ‘future-proofing’. You can read more on 1050ti and VR here if you want. RAM is important, but not as much as it used to. 8GB is enough for Oculus games, as there are only a few games that work better with 16GB. This one I chose because it’s ideal for gamers that want a stable performance. And it’s true. 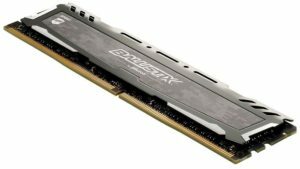 Right now, the cost of DDR4 RAM went up tremendously, and finding affordable DDR4 like this is rare. For those of you who don’t know, DDR4 is the latest architecture (successor to DDR3) that will reduce latency, improve performance, and makes your build more future proof. I could have gone with DDR3, that also changes the motherboard and probably CPU, but I decided to make this Rift-Ready build safe from future games. 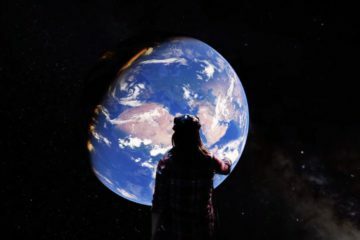 The gaming industry is moving at an extremely fast pace, and you don’t want to be left behind, especially where VR is concerned. This RAM version ensures that. 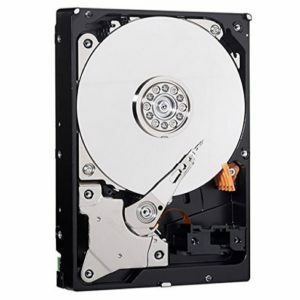 HDD storage drives are dirt-cheap right now, and due to that, we can add this to our cheap VR PC build. It’s nothing really amazing, it’s just a regular storage, with a HUGE amount of free space. It spins at 7200RPM/s and isn’t loud. Not only is it very cheap, but it’s actually insanely popular right now, with almost 10,000 reviews in one online shop right now. 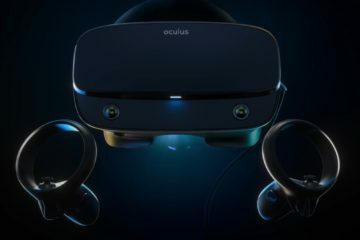 Considering that Oculus Rift games weigh around 1-2 GB on average, you won’t be running out of space soon. However, I do want to warn you that VR games will start to get bigger in the future, so it’s good that we have a 1TB instead of 500GB that I wanted to go with before. 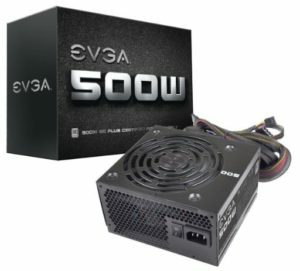 This is one of the best power supplies that you can get at this price. It’s not expensive, but it does its job so well that some use it for their 1,000 dollar Oculus Rift PC builds. It’s also quite compact so it won’t have any problems with small ATX cases. Even GTX 1080 can run on 500W PSU, so this lightweight VR gaming machine won’t have any problems running this inexpensive build and Oculus Rift. It’s a decent looking case that is perfect for this build. All the parts above have been specifically picked to be compact, and this case is ideal for them. It has 2 USB slots in the front, as well as silent and spacious fans for air, so cooling will be quiet and effective. 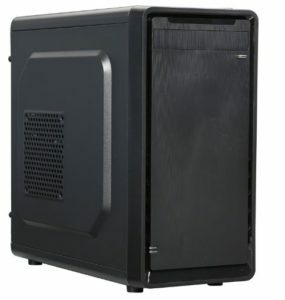 Since Rift doesn’t really require a specific case, you can chance this case to whatever you like and what your budget allows. Just make sure it’s microATX for compatibility. The price isn’t that much different compared to other similar cases, but what is different is the taste. That’s it. This is one of the cheapest Oculus Rift PC builds you can find. I remember when I made a build for $600 a few years ago that supported Oculus Rift, but now we can cut the price even more. Read More: Pick your VR PC Budget, I’ll build it! 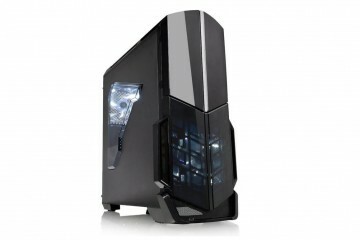 Not only is this build reasonable in terms of price, it has the latest technology and is easily upgradeable. A few years ago, you would have paid $700+ to get a performance like this. It’s a good build, and these parts are not only picked by me but have been chosen through a vigorous research by various people, so this is the result – the cheapest Oculus Rift PC you can ever get! If you liked this post, please consider sharing! It helps us out A LOT! Probably a bad idea, but with your build I took a risk and went ahead and ordered everything listed plus a PCI-E slot wi-fi adapter. My friend donated me an entire Oculus set-up with a third camera and the hand thingies. Here’s to hoping it works smoothly! I’ll have it all in by Friday. Hope it all worked out, VR brother.